Last month, just as US “anything you want” startup Magic announced it had raised $US12 million from Sequoia Capital, Perth startup YourButler launched, promising the same service in Australia. 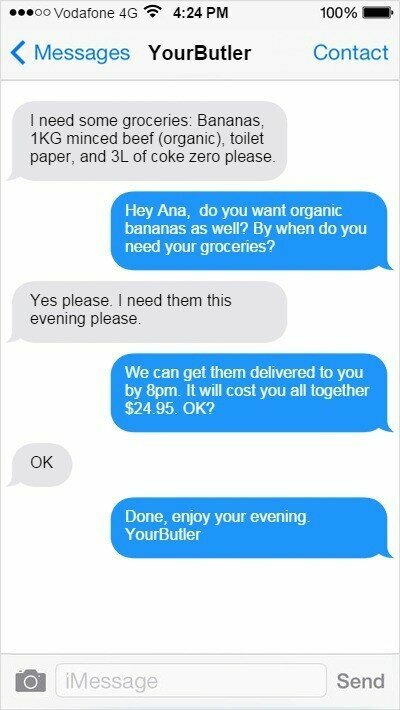 YourButler is a platform that allows its users to send text message requests for anything they want “as long as it’s not illegal”. 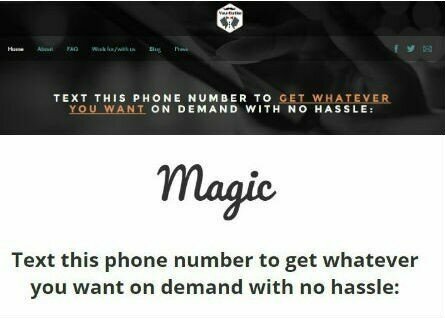 It’s the same service Magic offers in the United States, right down to the tagline. Of course Australia’s on-demand service industry is still in its infancy, so in practice it might be a little more difficult for YourButler than it is for Magic to meet every request. Regardless, the startup promises to do its best to get its users what they want. Examples include booking dentist or doctor appointments, getting groceries delivered, booking flights, buying flowers or ordering pizza. Users can chat with the YourButler service for free and do not pay anything if no external product or service is delivered. When an external product is involved, the startup will give the user a quote, which will include the cost of the items, plus a fee YourButler charges for the service. The aforementioned infancy of Australia’s on-demand industry somewhat limits the service, which has a tiny amount of users currently. While it can meet requests for say a can of coke to be delivered in the CBD of most capital cities because the delivery infrastructure already exists, outside of that – say a pizza in the suburbs at 2am, it becomes more difficult. Founder Thilo Kaipert says the startup, which he’s bootstrapping, has launched now to try and gain traction and build partnerships, so the service is operating smoothly as more on-demand services start to become available in Australia. “It’s obviously a spin-off of Magic, but I looked into what’s happening in Australia in on-demand, and while it’s in its early stages, over the East Coast it’s coming on,” he says. Jumping ahead of the industry is what has led YourButler to diverge slightly from Magic’s model. While Magic relies entirely on third parties, YourButler hopes to build networks of its own couriers to ensure it has coverage in capital cities, until it can leverage partnerships with logistics startups as they gain traction in Australia. Kaipert says the idea behind YourButler is that it will be working with local businesses, to help them expand their businesses. He gives the example of a coffee shop which could sign up as a partner to deliver requests in surrounding areas. “We can extend their business, charge the customer a little bit more (for delivery) and make more money,” he says. This article originally appeared on Startup Smart.